Decléor has been on my radar for a little while now ever since my mum had a skin consultation one afternoon whilst we were out shopping. She came away with a whole list of products which she wanted to try and new found skincare knowledge. We all know that when it comes to skincare that the French have it pretty much sussed, therefore when I was kindly offered the chance to try a few products from the French brand Decléor I found myself jumping at the chance; I am a skincare junkie after all. 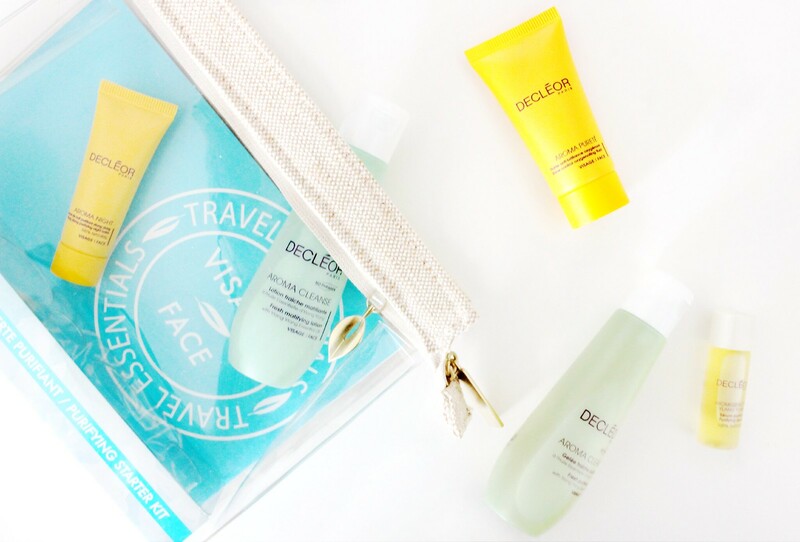 In order to get an idea of what the brand was like I decided to try out the Decléor Purifying Starter Kit* as I wanted to get a feel as to how the products would work in conjunction with one another. My skin for is generally combination to oily with areas of dehydration, however now that we are in winter I have noticed that my skin is a bit more on the dry side. I did therefore wonder if this would be the right kit for me taking this into account, however I have been pleasantly surprised thus far. This is not a full review in terms of how the products have worked for me over a few months as I firstly have not had them that long and seeing as they are just small sample sizes they are not going to last that long. What I did want to do however is share my initial thoughts on them as we head on ever closer to Christmas as I believe this little set (and of course others in the Decléor range) would make fantastic gifts this Christmas. This cleansing gel is light weight and very gentle on the skin making it suitable for both day and evening use in my experience. Currently I use this of a morning only as I find it to be really refreshing which is exactly what I need when I am still half asleep. This isn’t a product that I would reach for to remove my make up as I just don’t think it packs enough of a punch, however for me this isn’t where this type of product fits into my routine as I think it is best used of a morning. The Matifying Lotion is one of my favourite products out of the set as it is again really refreshing on my skin yet it does not make it feel tight in the slightest. I do think it has helped at reducing the oily appearance my skin can sometimes have, especially on my forehead. Out of all the products this is the one I am almost running out on which is a shame, however this was to be expected as I always get through liquid products like this incredibly quick. Serums and I don’t always get on as in the past they have been known to make my hair a bit greasy come morning, despite only using a small amount and refraining from using too much around the edges of my face. Having said that the serum included within this kit as not done that and has instead been absorbed into my skin almost immediately after my cleansing routine of an evening. Out of all of the oils I have so far tried this has to be the thickest in terms of consistency, however I am well aware that there are more viscous ones out there. After using this for the last two weeks every evening I have seen a reduction in dryness around my nose and have also seen an improvement in terms of my complexion which has looked clearer. The moisturiser element of this kit is again incredibly soothing and cool upon application to the skin. I am not entirely sure why this feels so cool to the touch as I keep all of my products in the same place, therefore for now that shall remain somewhat of a mystery. This light, non-oily formula has so far been a delight to use and has most certainly made a difference in helping to keep oil at bay. This hasn’t been particularly noticeable at first instance however come the afternoon time when I know my skin would normally be looking a little shiny I have, since using this barely seen any indication of my oily skin showing. This could of course be down to the colder weather that we have at the moment, however knowing my skin as I do I really do think that this moisturiser is having a positive impact, especially in conjunction with the serum that I am using of an evening. The final product in the purifying starter kit is of course the night balm which completes a lovely little skincare routine. This balm I have to say is like no other night cream I have used before, it really is of a thick balm consistency, meaning that you need only need tiny amount for your whole face as a little goes a long way. When used on top of the serum I do find that it can be a little heavy for me, therefore I now only use one or the other. Overall it is a really nice product and I do find that it keeps my skin hydrated overnight; however I do know that I personally do prefer to use more of a cream texture that isn’t as heavy on my skin. 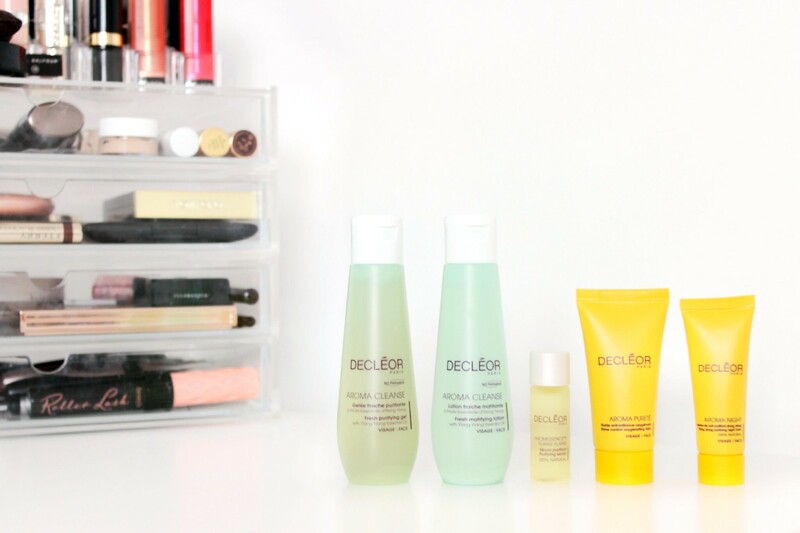 Full sizes of the Decléor products featured here are available at Beauty Expert, where you will find lots of Christmas gift ideas for the festive season.